Issuu provides a complete solution for digital publishing, helping you to upload, share and potentially sell your digital content online. But as any popular platform, Issuu has it’s disadvantages. They can take quite a while to offer support when needed. Also their prices are quite high compared to the features they offer. 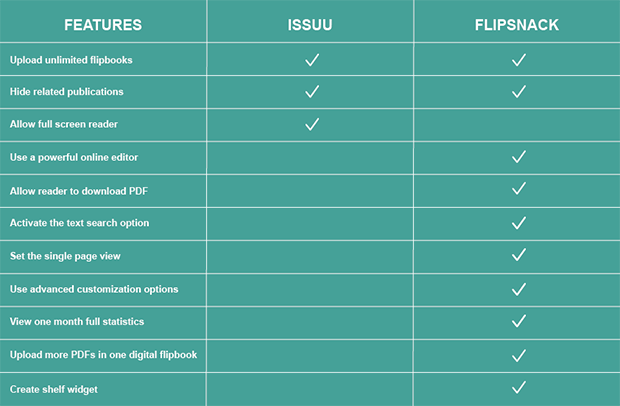 So today I want to let you know why Flipsnck is the best Issuu alternative. It might be even more suitable for your digital publishing needs. Flipsnack is a complex digital publishing platform which transforms your PDFs into beautiful digital publications and allows you to distribute them worldwide easily. All you have to do is to upload your PDF on the platform, and with just a few clicks you can have a professional interactive catalog to share with your readers. Consistency is the key element of a brand design. Flipsnack offers complex customization options, so that you can control the appearance and the functionality of your publications. They will look professional and will be in perfect accordance with your brand identity. Do you want to share your catalogs online, but you don’t want to host them on your own website? With Flipsnack you can create a custom domain for your catalogs collection. Like this all Flipsnack branding will be removed, and you can easily share your online gallery through a branded link. All hosting costs will be supported by Flipsnack. Beautiful catalogs are good, but interactive catalogs are even better! With Flipsnack you can make your catalogue interactive by adding links, videos or call-to-action buttons on each page. It has never been easier to sell your products and engage with your customers at the same time. Also, Flipsnack has another unique feature that Issuu doesn’t provide. If you need an online tool to create a new flyer, brochure or magazine quickly and easily, Flipsnack is the right platform to look at! You can use it’s powerful editor to create a stunning brochure from scratch, or you can personalize your favourite design from their 300+ ready-to-use templates. The next great feature you can find in Flipsnack but not in Issuu is the shelf widget. With this option you can group more catalogs together on a virtual shelf, which you can embed on your website. This is an excellent way to present your catalogs in a professional format and also to provide a unique reader experience to your targeted audience. Another major advantage of Flipsnack is that it’s ad free. You don’t have to worry that your potential customers will be annoyed or distracted by random banners while reading your publication. This offers a high-quality reader experience and helps them focus on the content presented in the catalog. In case you have any questions or requirements you can simply message Flipsnack support team directly on the live chat existing on their web page. They are very dedicated and friendly, committed to provide the best support for their customers. Also, they usually reply in under 5 minutes. This sounds a bit too good, but it’s true. 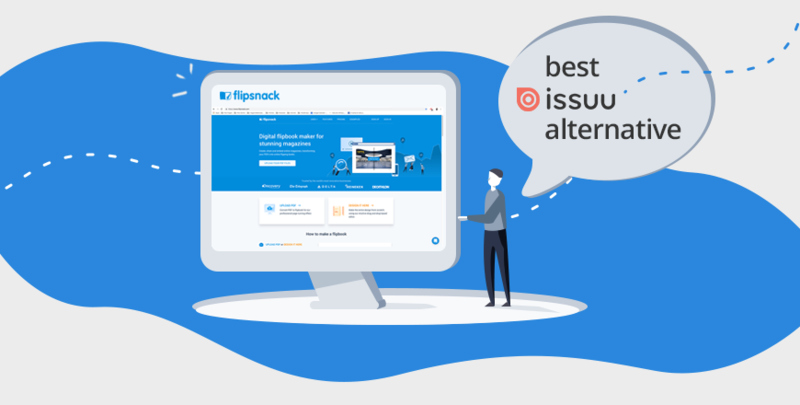 Both Issuu and Flipsnack offer you the possibility to test their platform as a free user, but to unlock more features, you’ll have to upgrade to a premium plan. Now let’s compare their premium plans and prices. These plans unlock basic digital publishing features. They are mostly suitable for small companies, local businesses or users who only need to create a few digital publications. It seems that Issuu Starter is very basic. The cost is quite high compared to the features offered. It doesn’t offer statistics, customization options or the possibility to allow your reader to download the catalog as PDF. The only extra feature it has is the full screen reader. 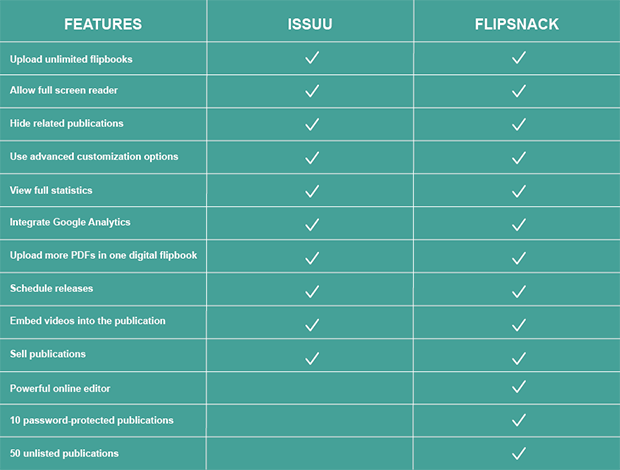 The Issuu alternative Flipsnack Starter on the other hand offers a lot of features for a great value. Beside the beautiful templates you can use from their editor with this plan, you can also make your catalog interactive by inserting links and captions in it. These are the next plans in range. They are designed for large companies, international organizations and marketers who use digital publishing as their main tool in their marketing strategy. The notable advantage of Flipsnack Master plan is that it allows you to publish 10 password protected publications and 50 unlisted. With Issuu, on the other hand, you have to pay extra for unlisted publications and you don’t have the password protected feature at all. Also, Flipsnack offers you the online editor where you can organize the pages of your catalog, delete old versions of PDFs and upload new ones easily, while Issuu doesn’t provide this important work space to modify the publication according to your needs. Last but not least, by choosing the Flipsnack Master yearly plan over Issuu Premium you could save $132, which is quite a deal. The last two plans offered by each company have similarities, but unique features, too, as both plans include all features existing in the previous plans. What Issuu adds extra for the Optimum subscription is the possibility to create a flatplan for your publication in collaboration with 25 colleagues. Flipsnack Team in the meanwhile is designed for a different purpose. The valuable extra features provided by this plan are the unlimited private documents that you can create as a team user. Flipsnack Team is mainly suitable for users who publish many flipbooks or for large businesses. It allows them to create a lot of catalogs and documents that they want to keep private. Considering the option of publishing unlimited unlisted and password-protected publications, this plan is a great tool which companies can use to share internal documents with their employees. Either if it’s the monthly newsletter or the company’s brand book, with Flipsnack sharing private documents internally becomes very easy. Also, a unique feature provided only by Flipsnack is the HTML5 download. This feature allows you to download your catalog offline and have it as a digital publication for lifetime. In conclusion, though Issuu is a good publishing platform, Flipsnack is surely to be taken in consideration as an awesome Issuu alternative, when choosing the digital publishing platform which suits your needs best. Tennis lover, advanced traveler and aspiring ice skating ballerina.